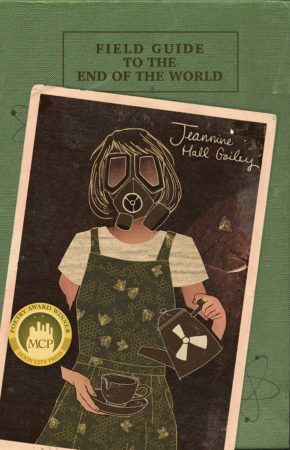 Writing with a piercing, mordant wit and a skeptical eye, Jeannine Hall Gailey gives us a fresh, funny look at the human condition in this new collection of poems. Field Guide to the End of the World looks at our current fascination with dystopian fantasies, the writer’s own mortality, apocalypses both planet-wide and personal, and the fact that human connection is what gets us through. There is snark here, no one is going gently into that good night, but there is also dignity and depth and beauty that takes your breath away. This is a brilliant book. I usually like to read poems slowly, pausing between each to savor them, but I have to admit I gulped this book down like I was a labrador puppy being fed steak. It is the best book I have read in a long time in any genre. Are We There Yet? looks at all of life as a car ride. “The sky-blue Plymouth of our lives is lined/in sticky vinyl and no one is playing the music/I like…We’re in a hurry to reach the end of our journey/settle down in our final destination.” Martha Stewart’s Guide to Apocalypse Living includes such tips as “Razor/wire goes beautifully with your holly thicket” and a “guide to storing munitions in attractive wicker boxes.” On the 5th Anniversary of Fukushima, I’m Injected With Radioactive Blood Cells is the title of a poem that contrasts cancer treatments with nuclear catastrophe, a natural connection. I’m so glad you loved this one as much as I did. Thanks for being on the tour!